This guest post is part of Jo Ann’s Bloggers Read Across the Globe (BRAG) Blog Tour—Promoting Children’s Reading and Literacy. I was intrigued by Jo Ann’s idea that you could guarantee getting your books into bookstores, so I asked her to expand on the idea. Here’s her response. As a newly published independent author, I certainly had a lot to learn about marketing my book. Getting into bookstores takes time and strategy, but with a well-prepared approach, it’s certainly achievable. Each year, the Barnes and Noble Small Press Department reviews more than 100,000 submissions from publishers of every size and background. Buyers review publishers’ catalogues, marketing materials and galleys or sample copies to help them make their decisions. Most of these books are added to our book database and a small order is placed for our warehouse. This makes a title available for sale on the B&N site and for order through stores. If you would like your title to be considered by B&N buyers, you must submit a finished copy (no manuscripts) of the book along with marketing and promotion plans, trade reviews, and a note describing how the book meets the competition (what makes it unique). These last points are key. A well thought out marketing plan makes a tremendous difference. Keep in mind that the buying staff/decision makers consists of fewer people now, so add any information that may help your book stand apart! Independent bookstores seem amenable to working with new authors. A great resource is the IndieBound Community, “helping people across the United States share and find independently-owned businesses.” IndieBound offers a comprehensive listing of independently owned bookstores searchable by name, type and/or location at the IndieBound.org website. I’ve used this site to identify many wonderful stores in my own community and beyond. If you were unable to speak directly with the manager, or if the manager seemed hesitant, don’t hesitate to visit again. Be sure to point out if the book received new awards, reviews, endorsements and mention where the book is selling in other stores. Call ahead to make an appointment at the manager’s convenience to insure ample time for further discussion. Jo Ann is also founder of Bloggers Read Across the Globe (BRAG)—Promoting Children’s Reading and Literacy—One Enthusiastic Blogger at a Time. I think the question is: what is a national distributor? Does Lightning Source and/or Ingram Spark qualify? Second question: must these be set up to receive returns? Thanks for a great article! Tips 2 & 4 are how I got my book into a local indie store—and they’re also sponsoring a book signing! Thank you for a wonderful article Jo Ann! I really like reading scripts based on real experiences when it comes to contacting companies, etc. They help give some reality to a lot of “theoretical” tips that one might read in a book or online. I learned a while ago that one of the best ways to get a book into a library is to go to a library with a copy, ask to speak with who is in charge of acquisitions (or ask to make an appointment), and ask them to take a look at the book. It has worked well for me. First time I have seen this post. That is why I am so late in responding. I just want to say that over the years I did well dealing with bookstores. Forget what anyone tells you about skinny margins. I would rather sell 10,000 copies with skinny margins than 5 copies with a fat margin. For the record, I am a self-published author who has sold over 700,000 copies of my books worldwide – not ebooks, but print books. I have made over $1.5 million in profits from my books over the last 20 years. Perhaps I know a bit about book marketing. One different way of getting your books in bookstores involves not talking to anyone. Just leave two or three copies of your books in the bookstore. This is something like a reverse bank robbery. Ensure that the face of the book is showing. If your book is any good, sooner or later more than one customer will pick it up and go to the counter. The bookstore clerks will wonder where the hell the book came from. After selling two or three copies that the bookstore never ordered, the staff will find out where to order them. Of course, if your book is crap, this strategy won’t work. There are many other ways for marketing books and getting them into bookstores, many that I haven’t even thought of yet. If you are creative, then you too should also be able to think of 10 or 20 new ways of marketing books that no one has thought of yet. I once made over $17,000 in revenues by cutting up defective books and sending either the top half or the bottom half to corporations. The thing that gets me about many authors who claim that they are creative people is how totally uncreative they really are when it comes to marketing. Of course, being creative is not copying what everyone else is doing. Again, I want to refer you to this great article by Bob Baker about not listening to conventional wisdom and doing totally opposite of what all the so-called “book experts” are telling you to do. Ernie, love your creative and successful out-of-the-box marketing ideas. I think that many new indie authors, including me, don’t take marketing risks because we’re preoccupied with more “standard” approaches. Your books have a broad audience appeal. Promoting my children’s book in a crowded marketplace is tricky but I would love to try some of your strategies. How did you sell defective, torn up books to corporations, for example? Sounds like you have a lot you could teach us. Do you ever teach or coach? I’m thinking about doing webinars and am looking for successful authors like you to interview and/or participate. So, you got my creative juices going… can we continue this discussion? I’d love to hear from you and Joel. Great comments and questions from everyone! Noah, I’m responding specifically to your most recent post. First, by professional book designer, I’m referring to a company that provides all the graphic design needed to polish off your book. I did all the illustrations for Sunbelievable but was clueless re how to prepare the book for the printer (layout specs, interior and cover design, etc.). Cover design is critical. I chose an award winning book designer who exceeded all expectations. It’s worth the investment. I could have saved LOTS by starting this earlier versus working with graphic designers who’d never worked on a book, but did know how to format for the printer. That alone would have saved a year or more, plus the expense. I would have worked with a coach to guide me through each step of the process. The coaches I did interact with were wonderful, but each had a different “specialty,” and not the whole “package” (but I didn’t really know what I needed). I tried doing too much on my own and wasted time and $$$. On the flip side, I learned so much and recently begun coaching authors to help them not only avoid all the mistakes I made, but recommend the most cost effective/efficient ways to accomplish their goals. I guess it’s fair to say that I do this type of consulting now and love it!! Perhaps it would be ok for Joel to provide contact information if you’re interested. I’d be happy to discuss! Hope this is helpful. Whatever you do, keep plugging away! I am interested. Joel? How do I go about contact info? It would definitely be good to find a good childrens book designer. Who did you go with in the end? And did they print as well? Seems a few of these printers use non-standard sizes and may not produce a book that looks and feels “real” or “legit” as it is not done according to industry spec. Hi Noah, There’s a link to my website in my guest post article above. I’m also on Facebook: http://www.facebook.com/storyquestbooks. Both links have contact info on the opt in email form. Take a look! Re your printer question: my book designer brokered the print job and selected the company that, after some test runs, we knew would produce amazing offset print quality. The illustrations pop off the page. Book size and binding decisions were made long before trial print runs. The book designer helped me decide, since again, I was clueless! Great information and discussion. Thank you for all the tips. I am 4 months away from self-publishing my book and this information will serve me well. Thanks, Maggie, that’s awesome. Good point about those “skinny” margins, too, I really dislike those. Thank you Mr. Higgs for posting this on Facebook. What a wonderful discussion. Well the book industry has dramatically changed from 2005 when i first published my first book. Back then we had to find a publisher and then write the book and then come with a marketing plan and most of the time most publishers used Ingram which was the largest distributor of books to the major national book stores.Problem was there was no way of tracking and measuring your marketing efforts and then everyone had to be paid first before you got the royalties and finally you had to sell in the drones to make a sizeable amount. There also existed a conflict of interest as the publisher paying you your royalties was the same person tracking your book sales. There were friends of mine back then who decided to sell their books directly using internet marketing strategies and were making decent living. Come 2012, the DIY(do it yourself) model is quickly replacing the conventional publishing model. Thanks to smart phones, applications like kindle and nook, ebooks have outdone the traditional books three years consecutively. My take is that weigh the pros and cons. Today ebooks are cheaper to make,faster and get instant feedback. What’s also happening is that indie writers are getting instant notoriety initially online and then offline. Authors like Jeff Rivera,Amanda Hocking,John Locke,Lee Child and Suzanne Collins all have sold over a million on amazon kindle. The other thin to consider is the target market. If the book’s audience is people who prefer to read physical books then offline is the better option. Just remember it’s not the only option and it’s pretty determined by what your goal is! I’m still in the writing stages of my book, but I have just completed my first eBook; which I plan to release in the next couple of weeks. However, I will be revisiting this article when I finalize my first book project, and begin looking for a publisher. That’s actually up in the air at the moment as well though… I’ve been thinking a lot about self-publishing when that time comes. At any rate, this was a great article, extremely helpful. Thank you for sharing. Thanks for your tips. Obviously pays off for you. But my experience has been more negative. Cold-calling is a dispiriting business (except when you try a local shop and your book has local interest). Most stores say: Thanks but as you can see we’re already overstocked. And once they know it’s a self-published venture, they show even less interest. Thanks for your tips ! I’m a Virtual Assistant to authors and assist in their marketing efforts. I just tried your suggestion about cold calling individual stores and it worked ! Love it !!! It’s easy to forget about bricks and mortar stores in this online world, but it would be amazing to have an actual book in a few stores in the future. I’m really surprised by the cold calling method. Is it really that easy to get ayes? Hi Jo Ann, you make it sound so easy–so why do I get that oh-no-groaning pit in my stomach each time I learn another bit about marketing? I have to remember that I can take marketing one small step at a time. Blogs like yours helps me keep that perspective. Well, I really responded to your positive attitude and approach to one part of book marketing that’s proven tough for many self-publishers. I hope you encourage some authors who have only tried online selling to step out and think about bookstore marketing, too. As Jo Ann says, getting self-pubbed books into terrestrial bookstores is “certainly achievable” — but may not make economic sense. For readers, a bookstore can be wonderful. It’s a great place to spend a few minutes or an afternoon, finding exactly what you are looking for or making serendipitous discoveries. 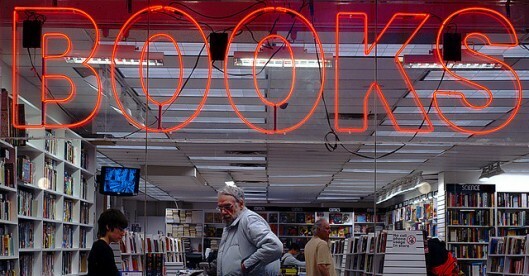 For big-name authors, bookstores are the venues for expanding riches and fame. For self-pubbed authors, stores can be a frustrating waste of time and money. It may feel good to see your books on the shelves, but to get them there you’ll have to give up typically 55% of the cover price. Even worse, if you decide to offer that 55% to stores which may or may not stock your book, you’ll have to offer the same discount to online sellers, even though they are perfectly willing to accept just 20%. And if you decide to offer the big discount, and can make the sale, there is no guarantee that the stores will actually sell your books and pay you for them. In a strange system that dates back to the Great Depression, most books sold to bookstores are returnable. Three to four months after shipping your books, when you expect a small check, you may instead receive a carton of books that are too tattered to sell at normal price. Ego gratification is important to creative people, but gratification can come from places other than bookstores. You have to weigh the extra work and decreased revenue per book against the possibility of selling more books, and impressing your parents, spouse, siblings, friends and neighbors. Keep in mind that self-pubbed books printed by Lightning Source and CreateSpace can be easily ordered at B&N and other bookstores. Dear Jo Ann Michael and Marcus, thank you for this very important discussion regarding self-publishing and bookstores. I guess we find what we need to see when we are ready for it–can you please help clarify for me what you see as the cost/benefits of self-publishing vs. seeking a publisher and going the traditional route? I have a manuscript and am working on the illustrations for a children’s book, which is why I’m so glad to have seen that you were able to successfully self-publish Sunbelievable. Given your experience, regarding publishing a traditional illustrated children’s story a la Stellaluna or The Gruffalo, what are the benefits of self-publishing? Is it worth the extra time and expense for the potential returns? Or is it a stronger position to have the machinery and system of an established publisher promoting and managing my book? (I’m not concerned here with whether or not a publisher will accept my book as a benefit of self-publishing–I prefer to remove that from the considerations of this discussion for the sake of directly addressing the pros & cons of self-publishing vs established publishers given that now we ARE able to do what you have done with your book. Thanks for any insights you can give a young (unpublished) author. specialty publishers. One thing all these companies had in common was that they greatly disappointed me. I didn’t like the books and I didn’t like my earnings. I’ve had deals with three traditional book publishers. One tried to cheat me. One didn’t cheat me, but the book that finally came out was so unlike what I had expected it to be, I was sorry I got involved. I also didn’t make much money and had to wait a long time for the little money that I did get. The publisher that did cheat me did such a bad job on the book, and it was so unlike the vision I had for it, that I refused to let my name be printed on it. More control: The author determines the title, the cover design, the page size, the number of pages, the price, the marketing plan, the publication date—everything. You are the boss and can’t be fired. There is a downside to all of this control, however. If your book is ugly or filled with mistakes, you have no one to blame but yourself! Even if you hire people to help, you are the ultimate designer, editor, fact-checker and proofreader. Personal attention: At a big publishing house, a new book from an unknown author may get little or no attention from a sales force which is responsible for dozens or hundreds of books. A self-publishing author can concentrate on one book. She can work as hard as she wants to in promoting the book to the public, booksellers, the media and book reviewers. Complete freedom: Independent self-publishing allows authors to write about anything, without needing approval from anyone. (Self-publishing companies may refuse to publish books they consider obscene or libelous.) There’s also freedom to ignore publishing traditions if the author wants to try something new. Fun: Many people who could afford to pay for an oil change like to work on their own cars. Many people who could buy beer or wine or pizza like to experiment with their own special formulas. Lots of people who can buy food, like to grow vegetables or go fishing. Do-it-yourself seems to be a common human urge, and now it is possible with publishing. My first book was published by Doubleday in 1976. I’m much prouder of the books I’ve published myself—and they were a lot more fun to work on. Niche marketing: Because of personal, professional or business connections, a writer may feel she or he is better able to market books to a specific group of potential customers than a traditional publisher could reach through traditional sellers. Speed: With conventional publishing, it can take years to find an agent and a publisher. With independent self-publishing, a book can be selling a week after it is written. If you use a self-publishing company, it usually takes a few months. Durability: The author determines how long a book remains on the market. Keeping the book current: The author determines when a new edition should be published. Regular income: With conventional “trade” publishing, royalty checks (if there are any) arrive twice a year. With self-publishing, money can come in every day, week, month, or every three or six months—depending on the sales channels. Rejection: Most books submitted to traditional publishers are rejected. Major publishers want books that are bought in the tens of thousands, but their judgment is not perfect. Most books do not become bestsellers, and in a few months they’re sold on the buck-a-book tables. Aside from bad writing, there are other reasons why a book may be rejected—such as an unknown author, a subject’s limited appeal, a too-controversial subject, an abundance of other books on the subject or the inappropriateness of the book for a particular publisher. Rejection doesn’t mean that a book shouldn’t be published at all. Chance of attracting a traditional publisher: According to the New York Times, “Louise Burke, publisher of Pocket Books, said publishers now trawl for new material by looking at reader comments about self-published books sold online. Self-publishing, she said, is no longer a dirty word.” At least one book from a self-publishing company was later reissued by a mainstream publisher and got on the New York Times Bestseller List. Thanks Michael for sharing your experience. That is very helpful and puts a lot more juice for me in the self-publishing realm–I definitely would rather get my book out soon than for it to sit on the development shelf for too long, and who knows, maybe by self publishing I’ll learn a lot, and if it comes to a big publishers attention, then we’ll be able to work together from a stronger starting point. Hi Noah, You’ve asked a GREAT question! Thanks to Joel and Michael for thoughtful insights. I have a long history of writing for the medical/science literature, with published articles in leading professional journals. None of this prepared me for the challenges of producing a children’s book! Truth be told, it took 3 years to create and publish Sunbelievable. But I’m the queen of mistakes, and I learned almost everything about children’s books the hard way. So my answer about the cost/benefit of traditional versus self-publishing is largely influenced by what was a steep and very costly learning curve. In short, I agree with Michael’s assessment about the traditional publishing route. I had an agent from almost the outset, although I wasn’t looking for one. She came to me after seeing early illustrations. I wanted to forge ahead on my own for 2 reasons. One, the children in the book are my grandkids, and our family did not want to cede control to a publisher. Two, I’d heard, even from the agent, a long list of reasons why it would take time, etc., etc., and I was too impatient to abide by someone else’s calendar. Having taken matters into my own hands, every step took far longer than anticipated due to my lack of experience. Knowing I’d never repeat those mistakes, I’ve started working on the next 3 books, with the goal of publishing at least one book a year. The agent has approached me again, but I’m still holding off. I’ve learned to be more efficient and to reduce unnecessary costs. I know I need to work with a professional book designer much earlier in the process, since where I floundered most was illustrating. No cutting corners or cost there. It’s worth every penny. Traditional publishers don’t rally behind unknown authors, so marketing is a DIY proposition in any case. But there are no strings attached to how or where I promote and sell books. I love this freedom and it’s really starting to pay off — which isn’t bad for a newly released, independently published book. I could go on an on. Bottom line, I recommend the indie route IF you know how to get from A to Z without wasting time or breaking the bank to produce a high quality product. I probably could have saved 70% of my investment by doing things a better (more informed) way. 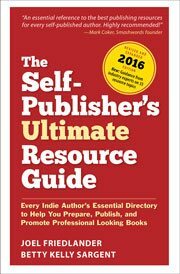 I read lots of wonderful material about self-publishing, all of which was extremely helpful. I followed blogs like Joel’s for great ideas and encouragement. Many thanks again for asking your million dollar question. I love sharing what I’ve learned, and perhaps there’s a way to continue this discussion. Let’s ask Joel and Michael! Is “a professional book designer” your illustrator, or a person that does the layout and choose the font etc? (ie used adobe indesign or related publishing software so you could send file to book printer?) When would you involve them? I’m working through one of my final revisions to the text and doing concept illustrations for the images I am sure will help tell the story. I like the idea of promoting my book myself– a big part of my passion in this is that I love reading stories out loud to rooms of children (my favorite part of working in the classroom). You mention that you could have saved 70% of your costs and that you are learning to be more efficient. What guidance can you give us regarding being more efficient and cutting costs during this process? When would you hire a professional book designer? Who else would you hire, and at what stage? There are many self-publishing sites, outskirtspress, lulu, createspace, wordclay, some with “packages” that help market, etc your book. Would you recommend any of these? Theres so many out there and so many options they offer– its a little overwhelming. About how much does it really cost to develop and publish and get a book on the shelves, because I’ve got to budget this out– its not cheap, and it takes a lot of time too– especially time to research all this stuff and just hope that I’m making an informed decision! Thank you so much– already feeling I’m headed in the right direction, and your experience is so helpful for me to choose my next steps. ps only saw your reply now, when I came to check on the blog again, as it never emailed me that you had responded to my entry. Just so you know I’m not a slacker and really appreciate your response, I just didnt know anyone had responded! Thank You. Michael is correct in pointing out the difficulties and possible ramifications of dealing with bookstores, and it’s definitely not for everyone. I’ve done it both ways, and bookstores do represent a great market for the right book and a publisher who can deal with the paperwork, delays and returns. My advice is to find out what’s involved, match your book with the needs of a bookstore distributor, have a good look at the economics of your production because it will be critical in this environment, or get some good advice from a professional who has done this before.